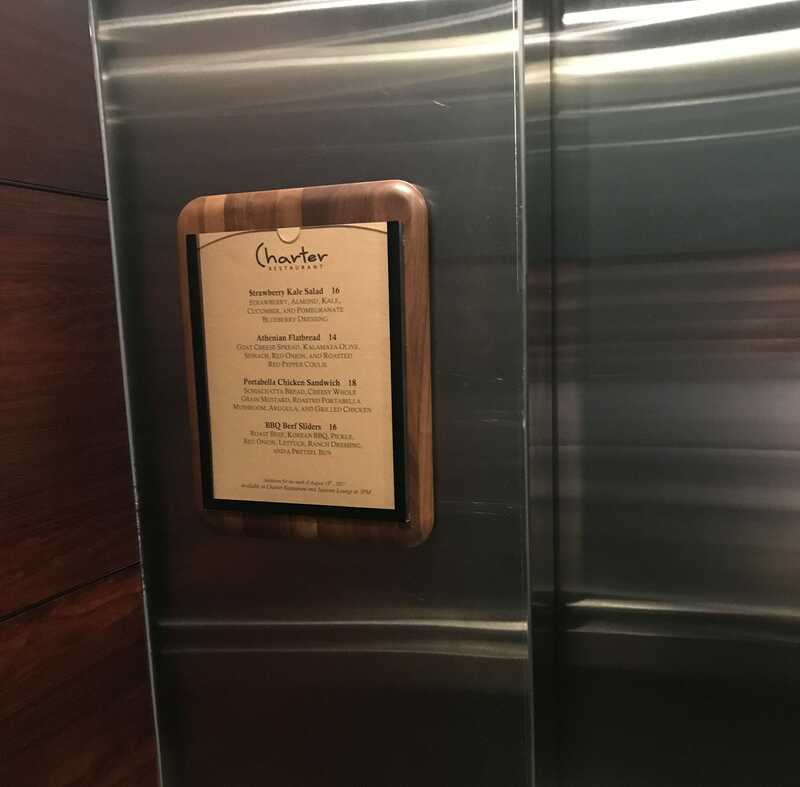 If you need a wooden sign holder to take the professional appearance of your signs to the next level, look no further than The WallPocket Company, the source for decorative sign holders since 1991. 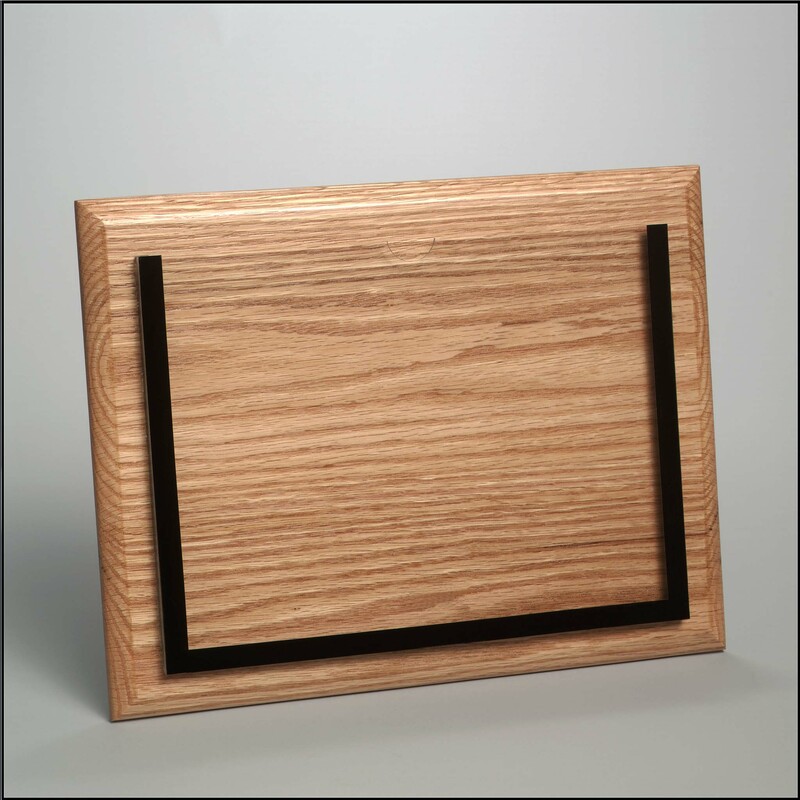 Our WoodPocket™ wall-mounted sign holders are made from genuine solid wood, with your choice of hand-polished walnut or oak, and mount easily to virtually any door or wall. And, unlike the flimsy plastic sign holders you’ll find in office supply stores, every sign holder we make has an impact-, crack-, and fade-resistant clear acrylic front to hold and protect your signs, schedules, directories, and more. 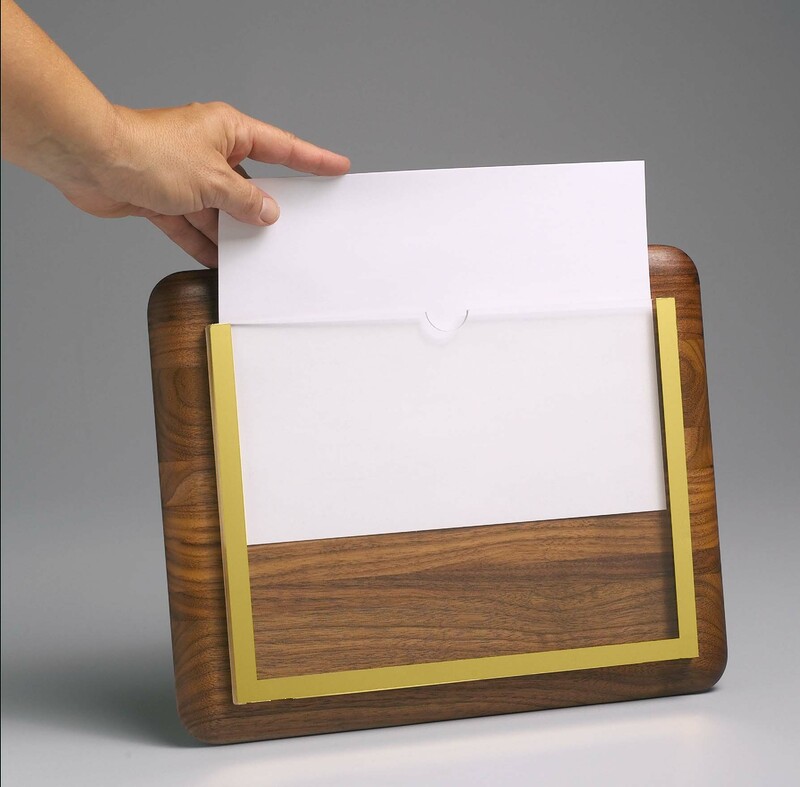 The WoodPocket™ wooden sign holder is one of the many attractive models WallPocket offers for your personalized signs, which also include the classic acrylic PlexiPocket™, the sleek metallic AlumaPocket™, and other customizable options.. Custom labels – Add an extra personal touch, such as a company logo, a room number, or a name, to the header of your sign holder. Slim profiles – Pockets are a quarter of an inch thick for holding multiple pages while still allowing for an overall thin appearance, unlike bulky alternatives. Cleaning slots – Two small bottom slots unique to WallPocket prevent buildup of dust and debris and allow for low-maintenance cleaning without the need to remove the sign holder. 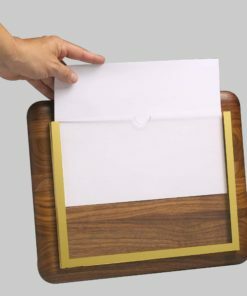 Thumb notches – A user-friendly notch at the top of the pocket allows for easy access to the papers inside for hassle-free removal and insertion of signs. 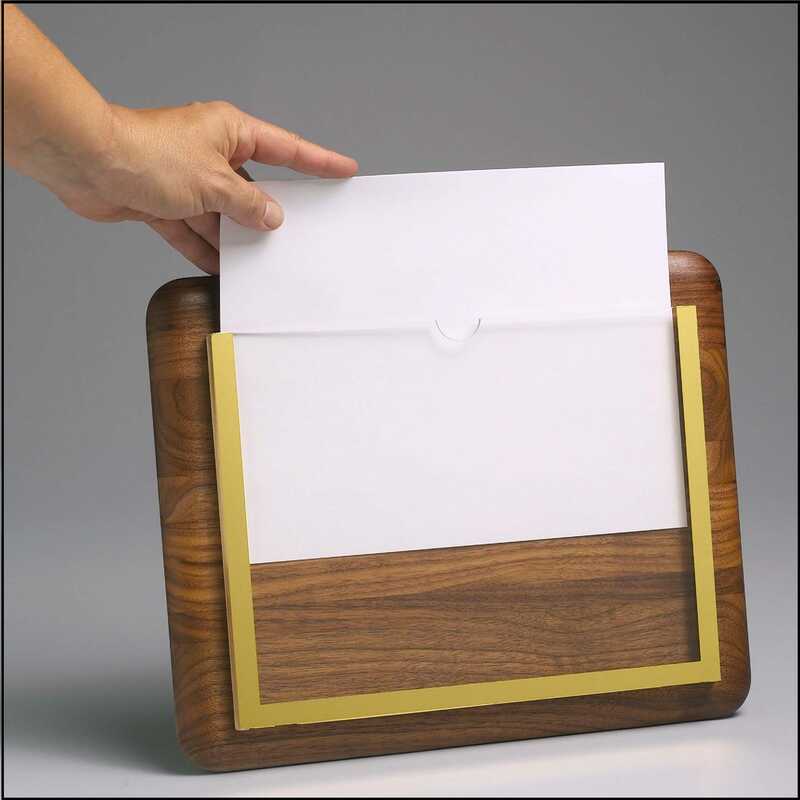 Every wooden sign holder we make is available in landscape or portrait to fit standard 8 ½” by 11” paper, and they come with your choice of vibrant border colors to suit your individual taste. 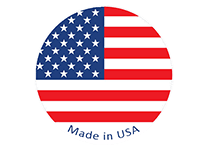 Also, all standard WallPocket sign holder designs are backed by our 100 percent satisfaction guarantee to reflect our commitment to superior materials and craftsmanship. 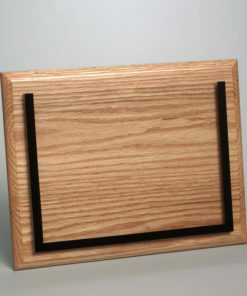 If you’re interested in a wooden sign holder or any of our other products, contact The WallPocket Company today.